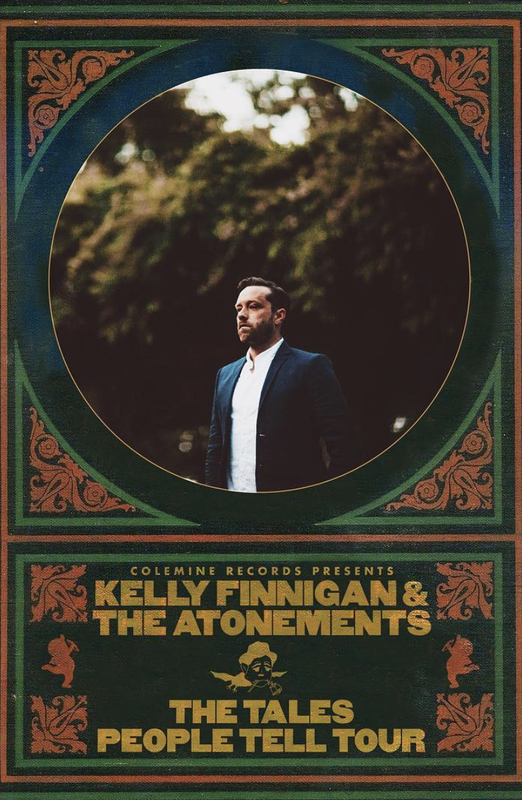 Kelly Finnigan - the indie-soul auteur best known as the charismatic lead vocalist for Bay Area heavyweights Monophonics - has announced additional dates on his ‘The Tales People Tell’ tour, the artist’s first ever headlining run celebrating his debut solo album of the same name. He’ll be joined on stage by The Atonements - who inject a mouthwatering dose of soul through funky basslines, firey backing vocals and bold, brassy horns - in Santa Barbara, Long Beach, Kansas City, St. Louis and more. Full tour routing below. Having spent a lifetime immersed in soul, R&B and hip-­hop, Kelly evokes an immense range and a wealth of knowledge that is best experienced live - he captivates fans with his smoky vocals and nimble command of the keys, and The Atonements' groovy, brass-backed melodies are sure to bring audiences to their feet. Kelly’s hand-picked tour openers include The Dan Hastie All-Stars, DJ Connie Price, Gene Washington & M-Tet, Karma Chiefs Records’ Rudy De Anda and more to be announced. Kelly will perform songs from ‘The Tales People Tell’ (4/26, Colemine Records) for the first time, along with select covers and a few surprises. Watch Kelly perform a stripped-down version of his song “Can’t Let Him Down” here, and listen to lead single “I Don’t Wanna Wait” here. Kelly will also be featured on Colemine Records’ special Record Store Day singles compilation, out April 13th. ‘Soul Slabs Vol. 2’ is a three-LP release from “the Daptone of the Midwest” (Rolling Stone) featuring new songs and old favorites from Colemine’s eclectic roster. Joining Kelly on the compilation are Durand Jones & The Indications, The Dip, Ben Pirani, and more. More info here.